Offer "July with the good that I want you" 2019. Offer valid for a period of stay of at least 7 days with arrival on Saturday or Sunday. - In Quadruple Room, the third place has a 50% discount the 4th place is always Free !!! Do you like the high season and the liveliness of the Romagnole beaches? Pinarella di Cervia is the ideal choice to enjoy all this thanks to all-inclusive offers for the whole family. 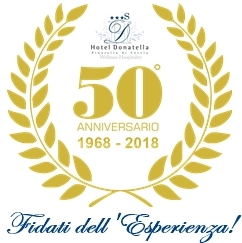 You will appreciate the excellent beach services, the sports facilities and the refreshment that only the splendid pinarella of Pinarella can offer during the hottest hours of summer. Visit Cervia and the numerous lughi of interest.